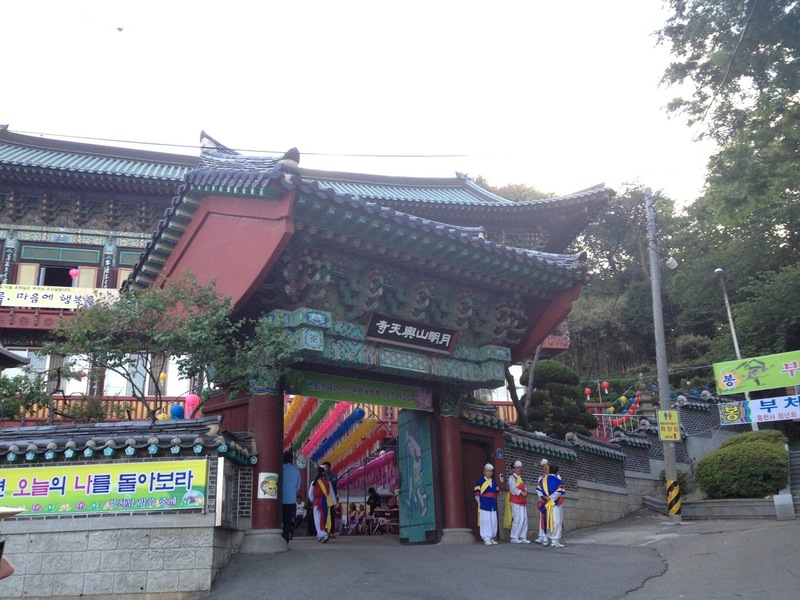 One of the most interesting and best times to visit the ROK (Republic of Korea aka South Korea) is during Buddha's birthday. 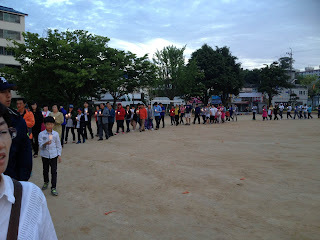 This year it was held on Friday 17th May. 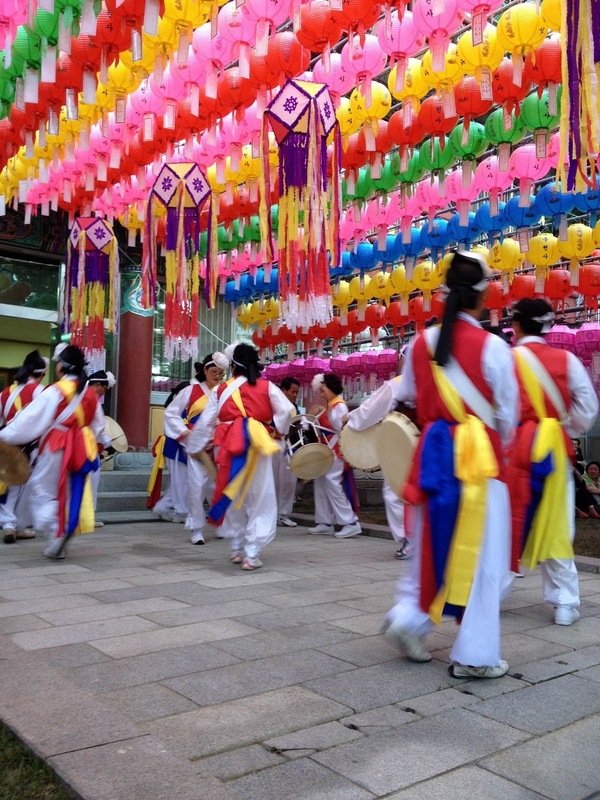 During this time you can really get a feel of the local culture and immerse yourself in with the locals to help celebrate this special day with them. 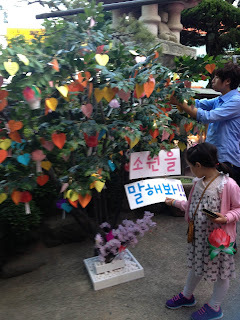 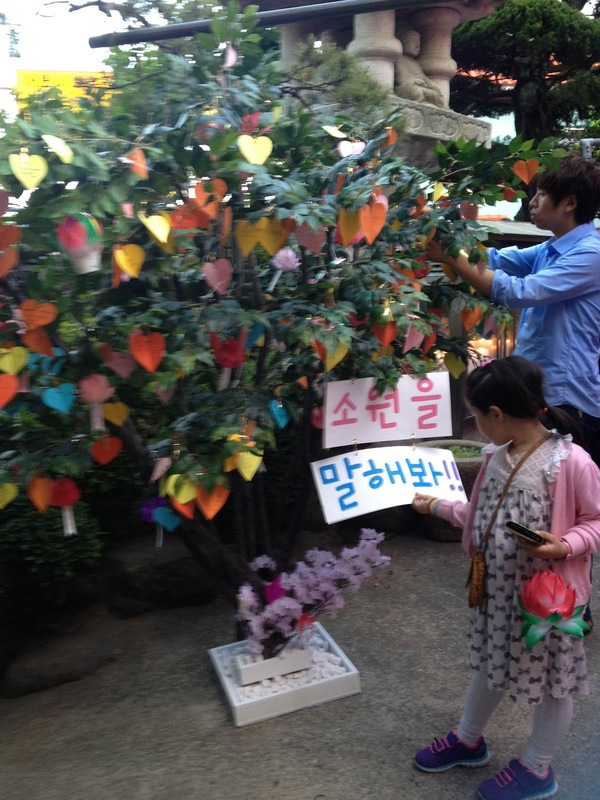 Buddhism is the top religion here in South Korea and celebrating Buddha's birthday is very important. 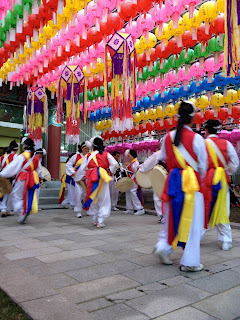 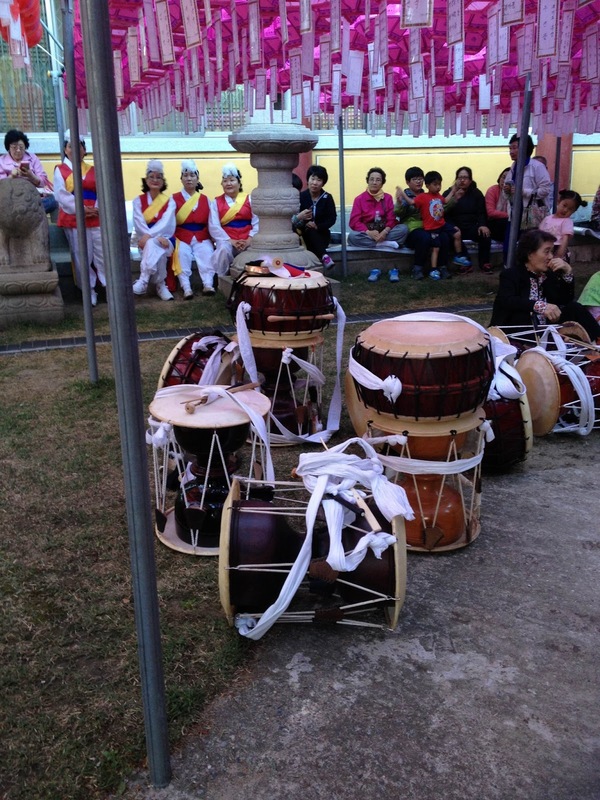 Korean's call this day 석가탄신일 (Seokgatansinil- Buddhas Birthday) or 부처님 오신 날 (Bucheonnim osin nal, which means the day when the buddha came). Lotus lanterns line the streets for most of the month and temples look even more magnificent as they adorn themselves with colourful lights. 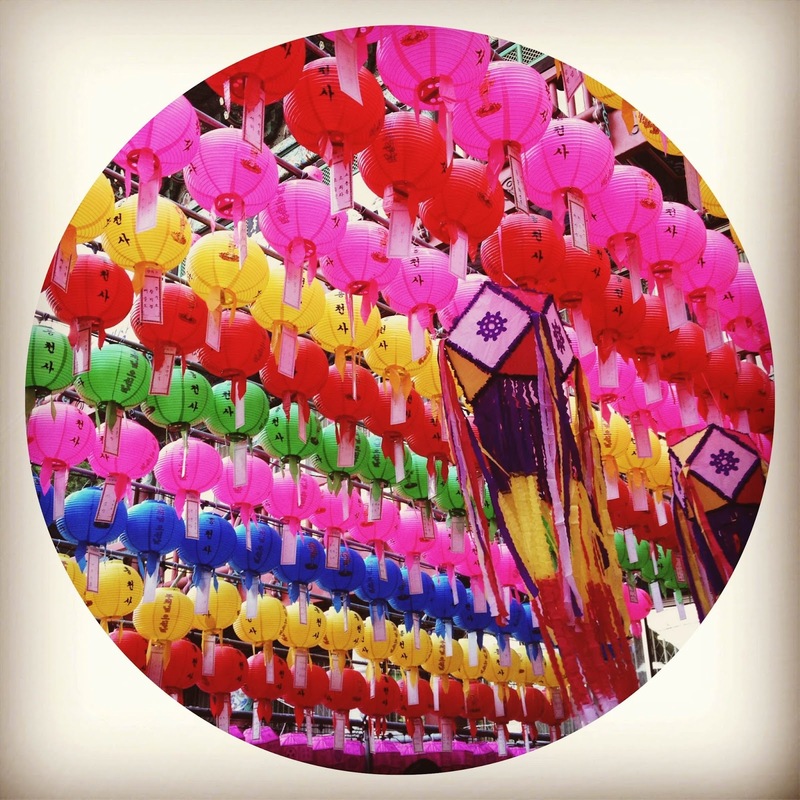 According to Buddhist beliefs, lanterns symbolise wisdom in that they bring light to the world. 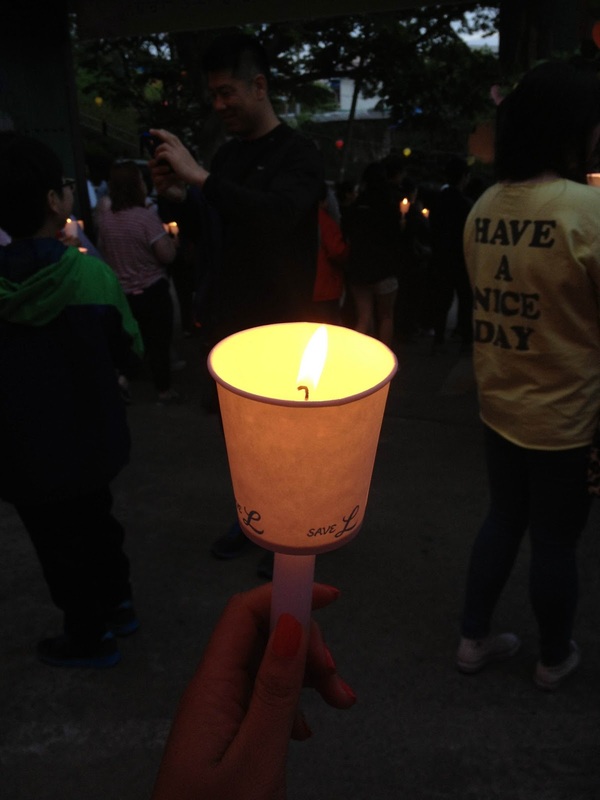 “Yeondeung”, which means lighting lantern, is an important ritual in Buddhism as it gives respect to the Buddha. For the first time, I was able to attend a local lantern festival here in Gunsan at Eunjeoksa temple (one of the oldest temples in the city). It is located at the foot of Wolmyeong mountain. Here, I was able to witness and partake in the Buddhist rituals to honour Buddha.